Happy Monday, babes! How we doing?! 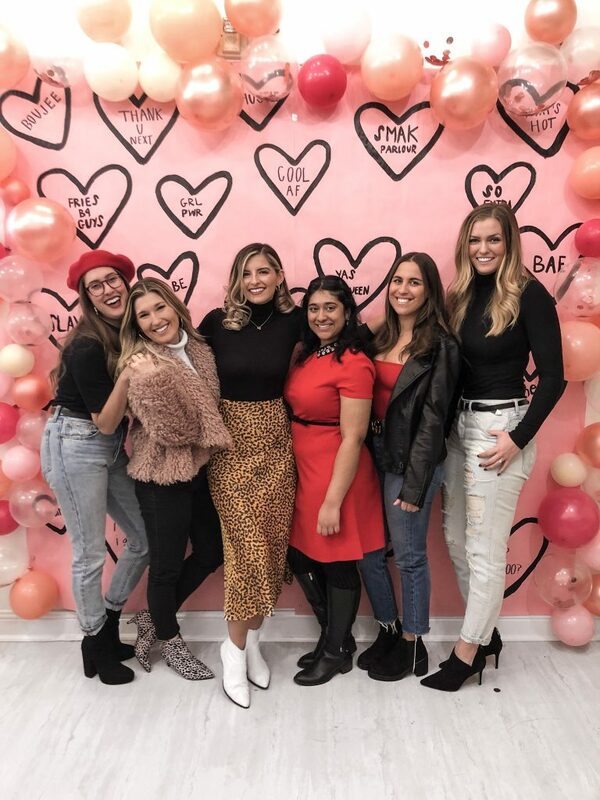 Over the weekend, I had the absolute pleasure to join a couple Philly boss babes, and speak on a blogger panel at Smak Parlour’s Galentines Day Event. First off, can I just say how empowering it is to be surrounded by such motivated, intelligent, and creative women!? Second of all, sitting on the panel and getting to offer insight to other like-minded women was so exciting! 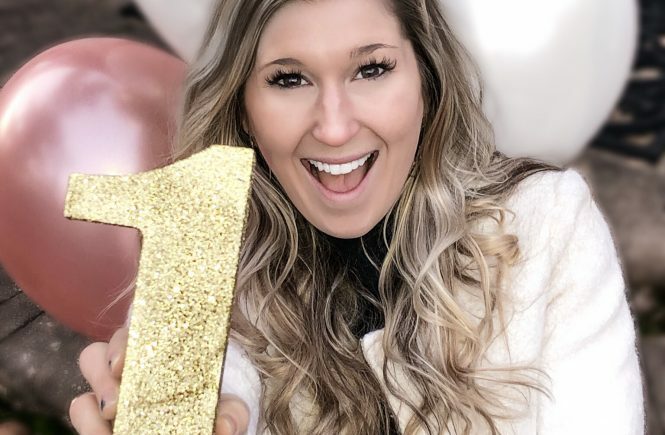 I love sharing simply e l l’s story, as well as sharing lessons I’ve learning over this past year of blogging. 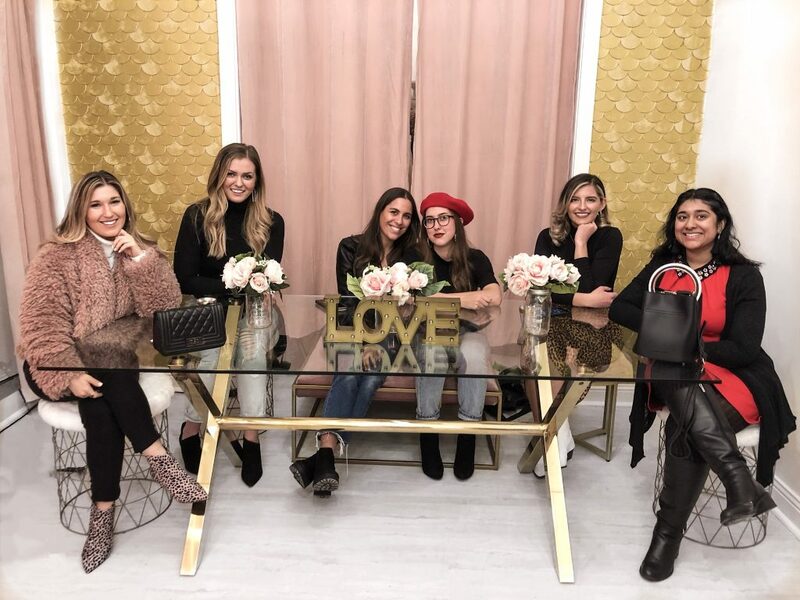 With that said, so many awesome questions were asked to us ladies on the panel, and just because you weren’t able to attend the event, doesn’t mean your have to miss out on the fun and knowledge-sharing! That’s why I rounded up the questions I was asked, and shared my answers! Also, don’t forget to check out the other blogger babes that spoke on the panel! Happy 1 Year! — What advice would you give someone who wants to start a blog? Be comfortable with being uncomfortable. I’ve actually been approached by a number of girls who have been considering starting a blog, and it always goes something like “I love ______, and I want to share with everyone how I do _____, but I’m so nervous/scared/overwhelmed.” GIRL, I hear ya. If it makes you feel any better, those were the exact hesitancies I faced when I got started, and actually, as I’ve mentioned in previous posts about simply e l l, I backed out on my first attempt to start the blog. I let that uncomfortable, knot in your throat, feeling get it my head, and it led to me holding off on something that I SO passionately wanted to pursue. When I finally muscled up the courage to launch simply e l l, I really had to just shut my eyes, take a deep breath, and dive head first (…after having a mini heart attack and spending countless hours ranting and raving to Shane, friends, and family!) To this day, I’m kind of like Jim Carey in “Yes, Man”, because I really try to say yes to every opportunity that comes my way – no matter how awkward I feel. Going to my first event on my own was sooooo nerve wracking, and Lord knows I was so uncomfortable walking into a room where everyone looked like they just belonged there. However, even though I walked in feeling like the word “newbie” was on my forehead, I quickly picked up a conversation with a girl that was also standing in line for a drink, and the next thing I knew, I was being introduced to her entire group! Looking back over this past year since simply e l l’s inception, I can say that if I passed up on the opportunities where I was nervous or uncomfortable, I wouldn’t be much of anything at this point! Being uncomfortable is, well, uncomfortable! But some of the best things come out of those opportunities where you break out of your comfort zone. I decided to start the blog for a number of reasons, but at its core, simply e l l came about from my love for fashion. Actually, I kind of have an odd come-to-Jesus moment with fashion! Going to be throwing it back to the 90’s here, but who remembers the show Sister, Sister? Well, Lisa was the mom of the two twins, and she had her own clothing line. So, one night 8-year-old Erica is watching Sister, Sister, and I think to myself “Hey, drawing and making clothes sounds fun?” And that was it! I went upstairs, grabbed a loose leaf pad, and started sketching my own clothes that very night. To this day, I’ll pick up a pencil and paper from time to time to sketch out a new piece. With that said, my absolute passion is styling looks, which is really where simply e l l came about. I love sharing tips of putting together looks, and I pride myself on being able to find a sale. Put that all together, and you have the makings of a fashion blog! How do you get collaborations? So, in the spirit of being honest and #real, I will admit that collaboration are probably my weaker point with blogging (I’ll explain why in a sec). When I do book collaborations, it is typically the result of me reaching out to a brand, and pithing some fun ideas I have for their products or services. In some instances, a brand reaches out to me, but hey… that would just be TOO easy if all you had to do was sit back and wait for them to come to you?! Honestly, pitch emails can have a blog post of their own, because a lot of work goes into pithing yourself to a brand. Without getting too far into the rabbit hole, a HUGE tip about pitching is being consistent and being genuine. I tend to slack in the consistency department, because a successful and lucrative blogger should be pitching herself weekly, if not more. I tend to pitch about once a month, which is something I am working on in 2019! In addition, and most importantly, is being genuine in your pitches. Having a pitch email template is a great tool to work with, but I firmly believe that pithing is like a job interview. When you interview for a job, you make sure your answers are catered to the job your applying for, right? Pithing is the same way! Taking the time to really address a brand, explain what you have to offer to them that’s unique, and explaining how their brand fits well with yours are great speaking points to show the brand that you really care to work with them. No, but blogging/influencing/styling full-time is certainly my end goal. As some of you may already know, I currently work full time at a medical insurance brokerage firm, where I assist in client management. I am VERY fortunate to have the employers/coworkers I do, because they have been so supportive of me having my side hustle! How do you get involved/ attend NYFW? Guys, I have to admit something. NYFW is a dream. For as long as I can remember, I have always envisioned NYFW as Carey Bradshaw, Samantha, Miranda, and Charlotte, walking arm-in-am, dripping in designer everything, and surrounded by the who’s who in fashion. I am happy to report… its event better! However, one thing that I NEVER thought was possibly, which later on became a reality, was the idea of me ever attending Fashion Week. Today, we are so fortunate to be in an industry where influencers and bloggers have a huge voice in the fashion word. That being said, designers really appreciate the coverage they get from influencer/bloggers, and are making it so attainable to attend shows! With that said, the way I got involved in NYFW, and how I maintain my relationship with NYFW are a bit different. 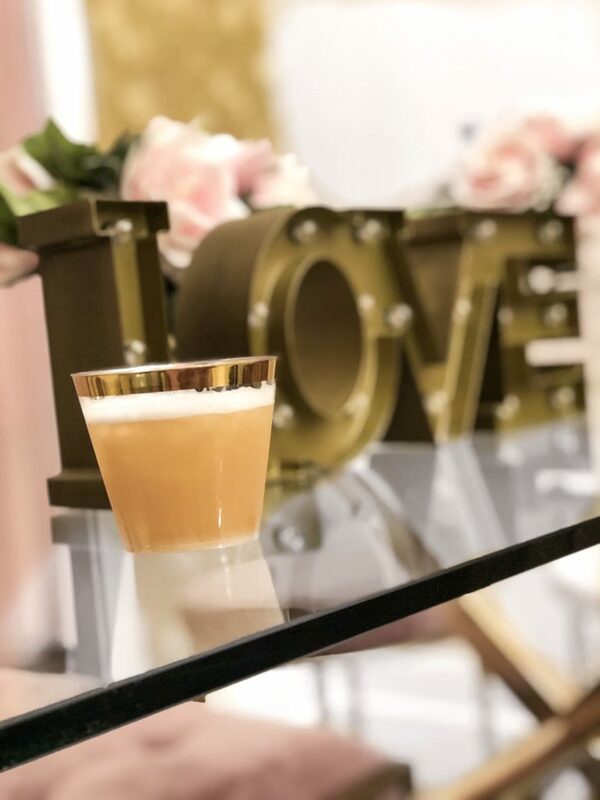 I was given the most amazing opportunity to attend Spring New York Fashion Week 2018 as a plus one with a fellow blogger friend, @bellebylaurelle. Laurelle is a Philly-based blogger who has the most stunning, elegant, and chic feed. GO CHECK HER OUT! Find the right contacts: Honestly, they make this step too easy. By going to the NYFW website, in conjunction with websites that provide agency contact info, you can then start inquiring on shows! Emails… Lots and Lots of emails. At this point, you are going to want to create a pitch email for the shows you want to attend. In this email, be sure to introduce yourself, include the dates of when you will be in town, and the coverage you plan to do while at fashion week. What is or was your biggest struggle being a blogger/influencer? 10pm: Try to start winding down. OK, how good does the above sound #gettingS***done #proactivebabe. Wellllllll, what do you think happens when I walk through the door at 4:30pm, and mom asks me if I want to go to Marshall’s with her? *Planner thrown to the wind* Finding ways to bob and weave with these calendar curve balls is a huge challenge for me! How do you find balance with blogging, career, social life, and you time? So, this is another one where I could dedicate an entire blog post to this (which, I plan to, lol!) I have two words for you: Google Calendars. When I first got into the industry, I simply ran on the motto “when I want to, I will”. Ok, this is much easier to say when you’re just getting started, have no idea how much work goes into a blog/micro-business. I very quickly realized that its easy to come home from a long day of work and not WANT to write out a caption for insta. I might not WANT to get on my gym clothes and get to the gym. I may not WANT to go grocery shopping for the up-coming week. In short, even though I don’t WANT to do something, I do my best to plan everything out in my google calendar, and what’s on it, happens. It really helps me from procrastinating, and feeling like I’m not knocking things off of my to-do list. It also allows for me to easily see where I have breaks so I can make time for self-care and me-time! In addition to my more systematic technique of google calendars, I also cannot forget to mention one of my biggest grounding factors: Shane. My boyfriend, Shane, is truly so supportive of my blog, that he actually urges me to do MORE #loveyouboo. However, Shane also has a way of grounding me when I need it most. Sometimes I can get so consumed by the number of followers I have or by a collaboration opportunity that fell through. In those times, Shane will take me to get dinner (Chick-fil-a is our go-to) to get my mind off things, or will just sit and let me rant for an hour. Having a partner that lets you be who you need to be is a HUGE help when it comes to keep my life balanced. 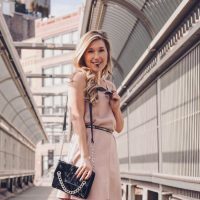 What is the most beneficial advice you received during your career as a blogger/influencer? Stay authentic! If I could have a mega phone, whilst standing on a mountain, and a choir backing me up… STAY. AUTHENTIC. This seems super obvious and so many girls will say “omg, duh. I’m so true to myself. *hair flip*” Butttttttttt, I also call BS on this sometimes, at least for myself. Ok, #truetalk, I have for sure thrown on a little more makeup to do an insta story. I have FOR SURE done a “bubbly” OOTD video, and then quickly crawled into my bed with Mac-n-cheese, in my jammies, and not moved for the rest of the night because I had cramps and was miserable. Sure, there is totally such things as TMI, but at the same time, your followers are loyal to you, and they might actually might appreciate you admitting to just being normal. No filters, not editing. Just you! Secondly, there is so much comparison in our industry, that it is so easy to wake up one morning, and honestly not recognize yourself (or your feed). Sure, you want to keep up with the trends, but you also need to pursue and be honest to what you love?! In addition to that, it is completely ok to admire or find inspiration in fellow bloggers. However, I listened to an amazing episode from Julia Solomon’s, The Influencer Podcast” where they dive deep in the idea of comparison. In short, what I learned is that you NEED boundaries in this industry. As soon as I feel like I am comparing myself to someone else, and it’s to the point where I am not drawing inspiration, but rather am feeling insufficient…. I unfollow them. Yep, harsh, I know. But it works! 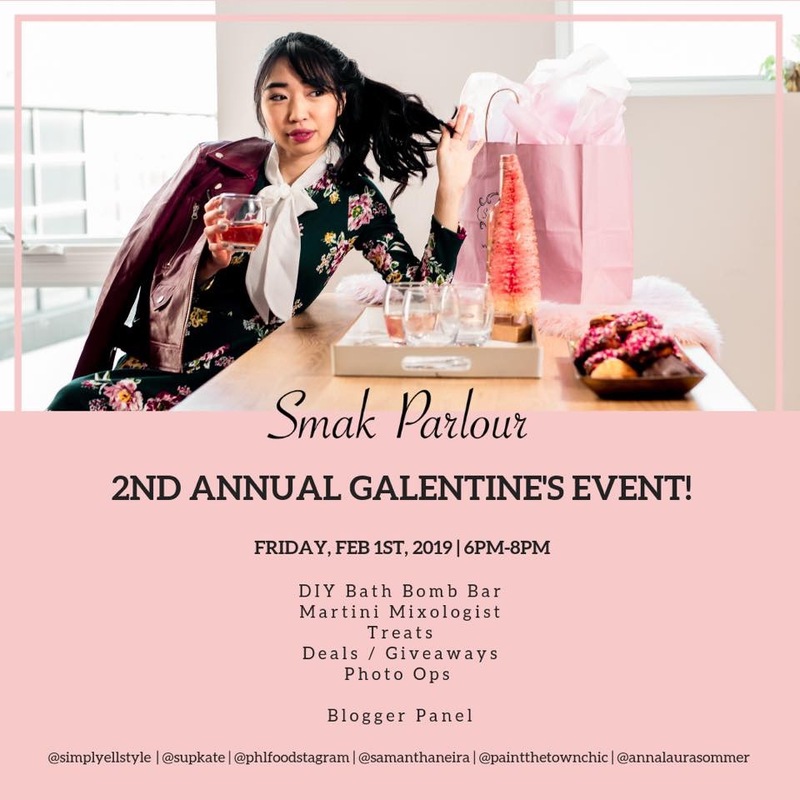 I have to saw another HUGE thank you to Smak Parlour for hosting us, and giving me the opportunity to share more about myself and simply e l l! 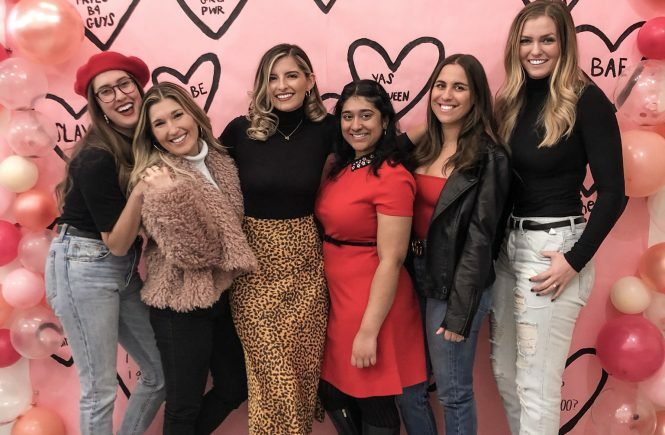 I love the way this industry is driving us all to support one another, encourage one another, and assisting one another grow as women and entrepreneurs.